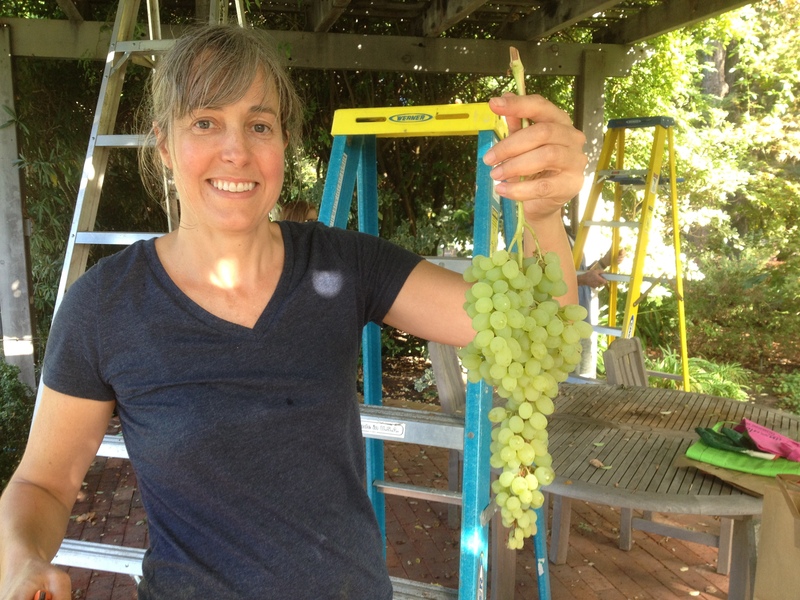 Blog | Urban Farm Stands | Promoting Farm Stands in every neighborhood! Promoting Farm Stands in every neighborhood! Fresh Herbs at Community Farm Stand! 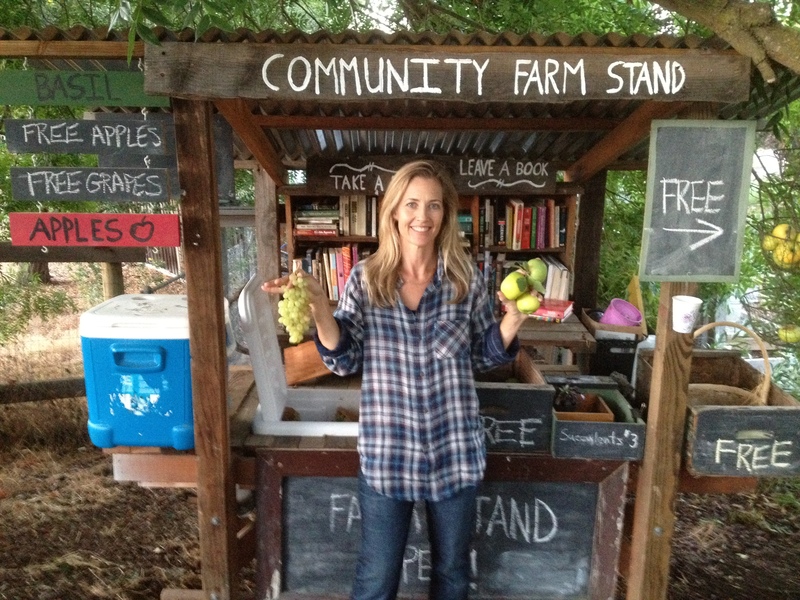 The community farm stand has become a popular community sharing point thanks to the community gathering site of Nextdoor.com. I just put lots of fresh herbs from our herb garden at the community farmstand (at Fremont Ave and Manuella Rd). Help yourself – they are free! (But please don’t take the vases). 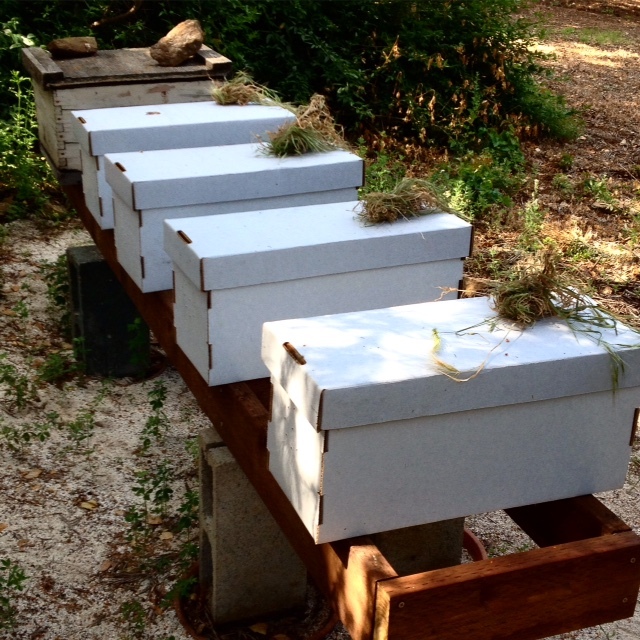 Today I installed 4 bee nucs (small hives) today from a bee keep down near San Luis Obispo. I transported this hives in the back of my car for 4 hours.. luckily not too many escape from the cardboard boxes and flying around the inside of the car! I’ve moved the frames from the boxes into the full wooden hives. I’m hoping for a better bee experience this year as last year all of my hives died by mid November. 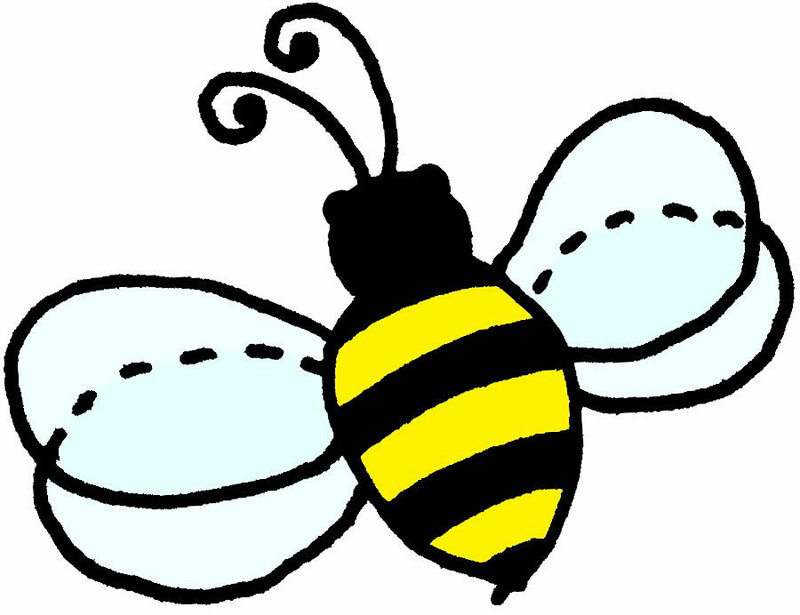 Bee keeping is not as easy as one might expect! 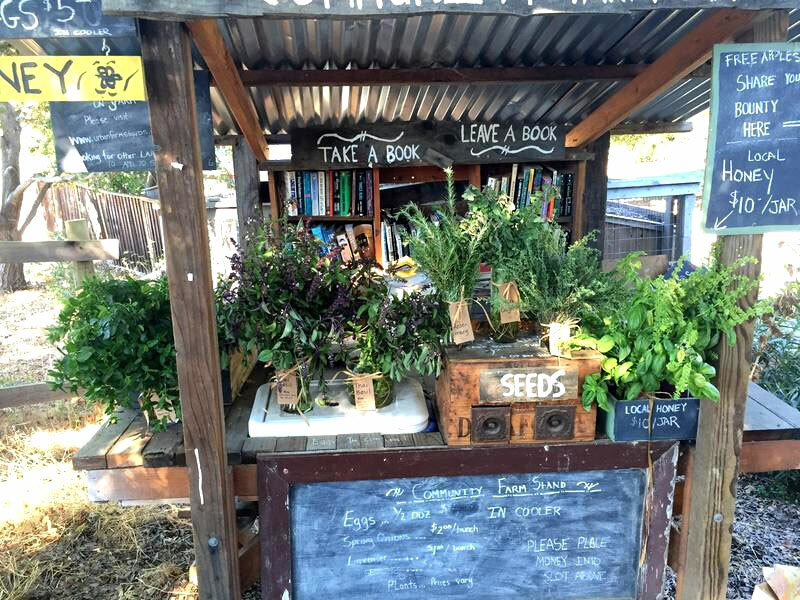 At a recent Slow Food South Bay annual event, I learned about the seed libraries now available at many real public libraries locally where you can “check out” seeds in the hope that you will bring back some other ones to share. So I built a small seed library box where you can check out seeds or share seeds you longer need or wish to plant or seeds you have harvested it yourself. Backyard collected seeds -Your own collected, and successful harvested seeds from your own local LAH and nearby communities gardens – These are the most valuable types of seeds to share since we know they work in our climate and soils. Pencils, envelopes, markers, and seed bags are available in the drawers for your use. 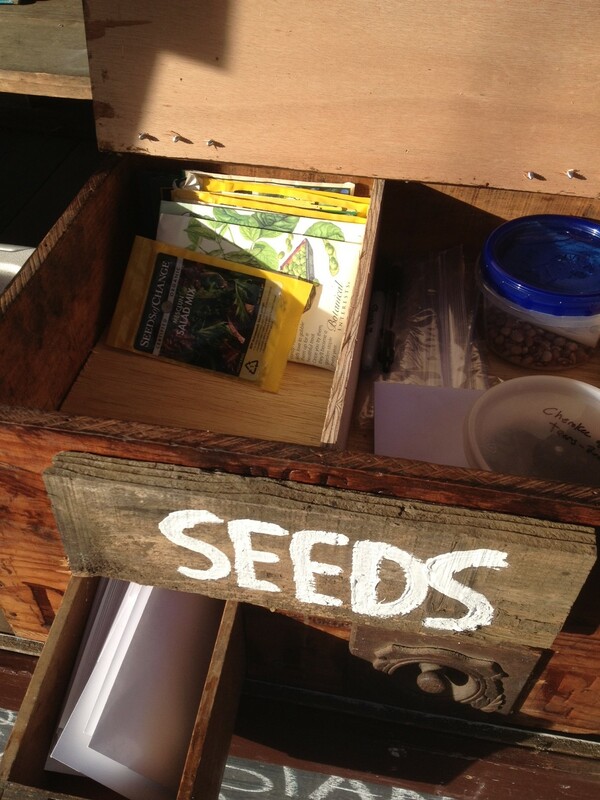 Start sharing and growing with the seed library! 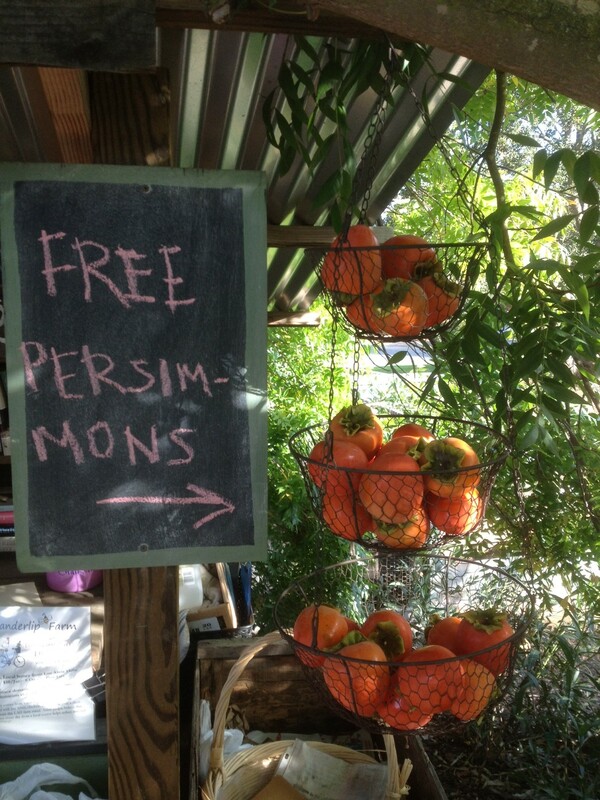 It’s that time of year and free persimmons are now available at the farm stand. It’s honey time at the farm stand. I’ve harvested our backyard hives about 2 weeks ago and extracted about 3 1/2 gallons of honey. It’s incredible thick, darker and much richer in flavors than store bought generic honey. Contact me directly if you wish to purchase some directly or they are available at the farm stand too. 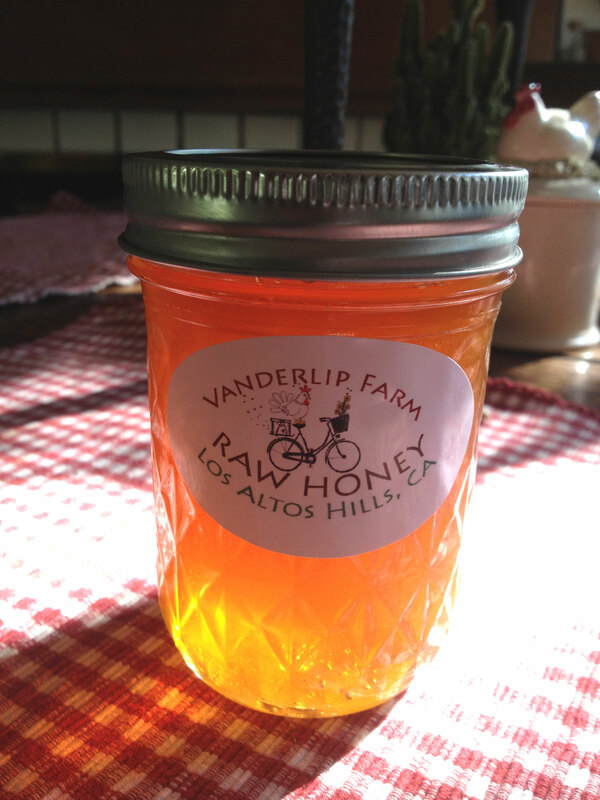 $10 / 1 Pint raw, local (Los Altos Hills) honey. About 20 folks, young and old, came out for the Los Altos Hills backyard and community farm stand harvest at Jill’s house. 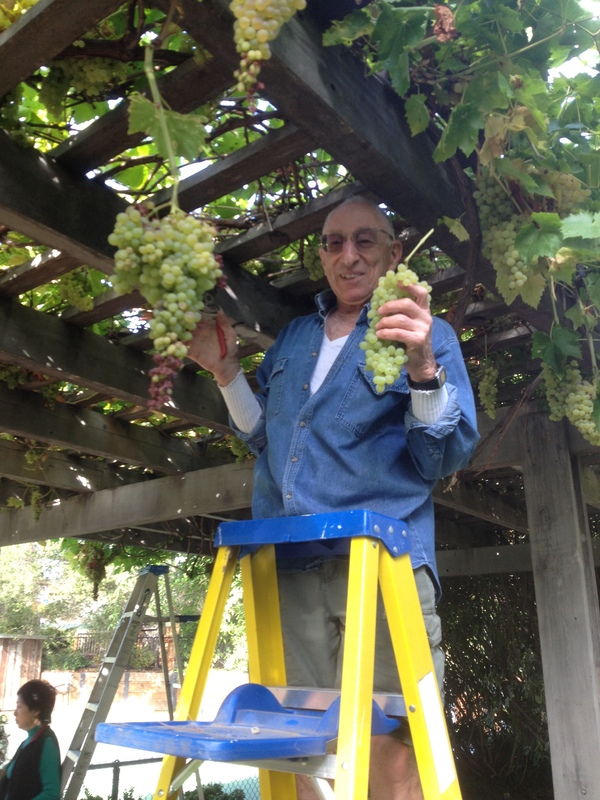 We all harvested some for our selves but picked lots of extra bounty of grapes and apples that is now available at the LAH community farm stand at 14101 Manuella Rd, Los Altos Hills, CA 94022. The farm stand is actually located on Fremont Road since this property is a corner lot and borders Fremont Rd and Manuella Rd. It can be hard to find in the trees. So please come out ASAP to get free bags of table grapes in the two coolers and free apples in the boxes. 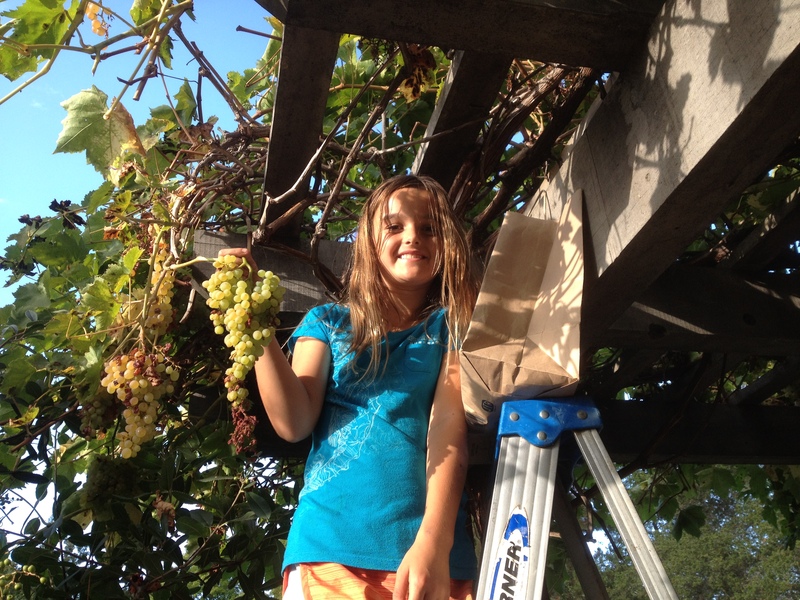 The grapes will expire fast as they are very ripe and very sweet! Come join your LAH neighbors for a community apple and grape harvest and take home some bounty and pick some for others to pick up for free at the farm stand on Fremont Rd. 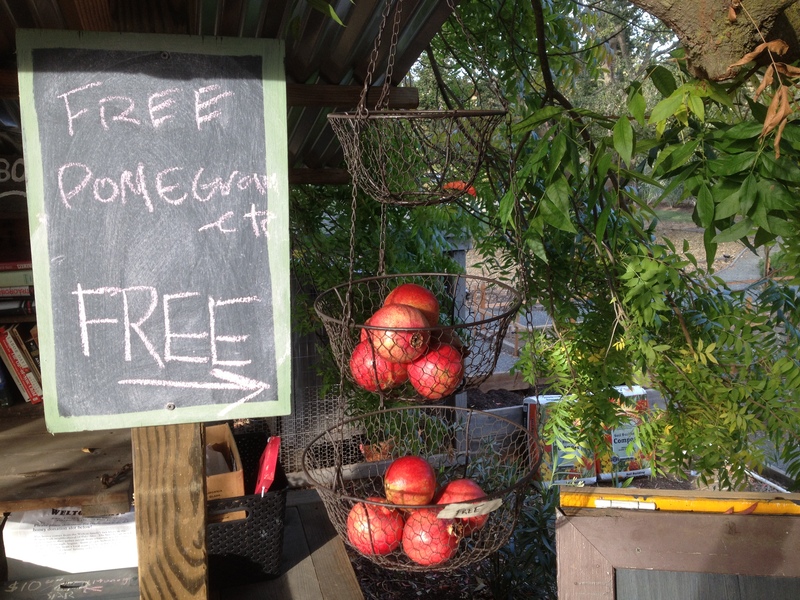 There are plenty of apples and hundreds of pounds of table grapes to let folks take some home while others can be used to pass out at the farm stand for free! Please bring some strong, re-useable grocery bags to take home some of the bounty. If you have a 8 foot step ladder or a fruit picker pole, bring it as well.